I have an image target positioned at (0, 0, 0). The AR object which I want to display (a simple cube) is a child element of the image target - positioned also (0,0,0). 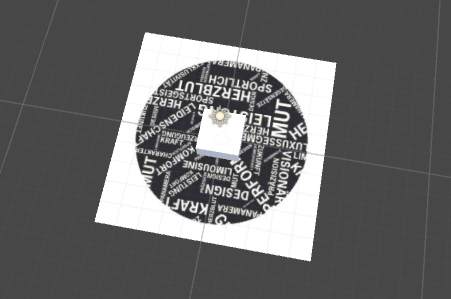 My expectation would be that if I rotate the image target, that the cube always remains at the same/correct position as defined in the Unity editor (center of the image target). However, as you can see in the attached video, the cube is slightly moving while rotating the marker (sometimes text is visible and sometimes covered). Any ideas how to avoid this? I need the cube always perfectly aligned.